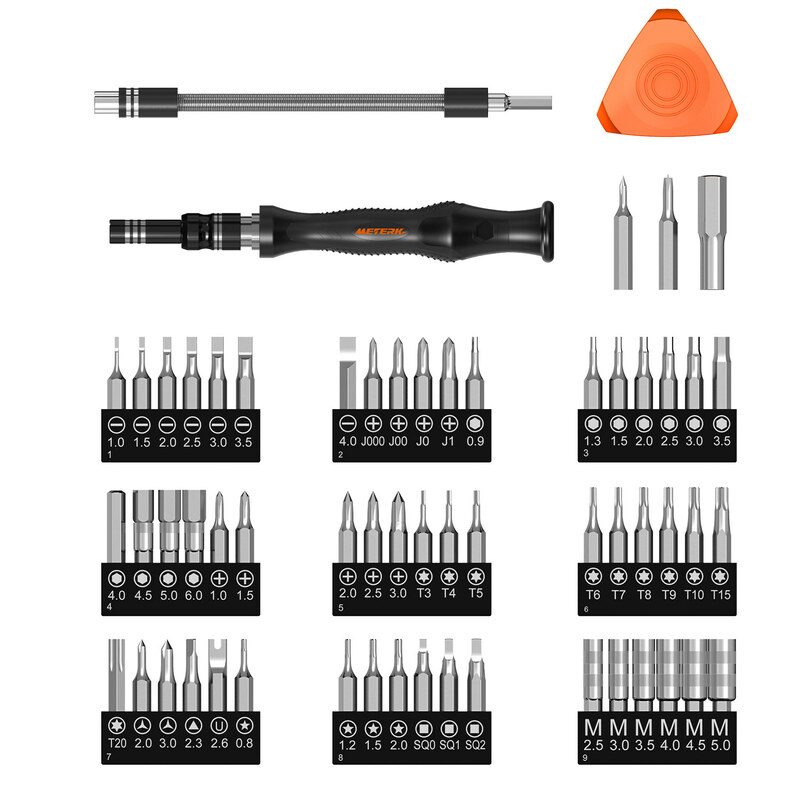 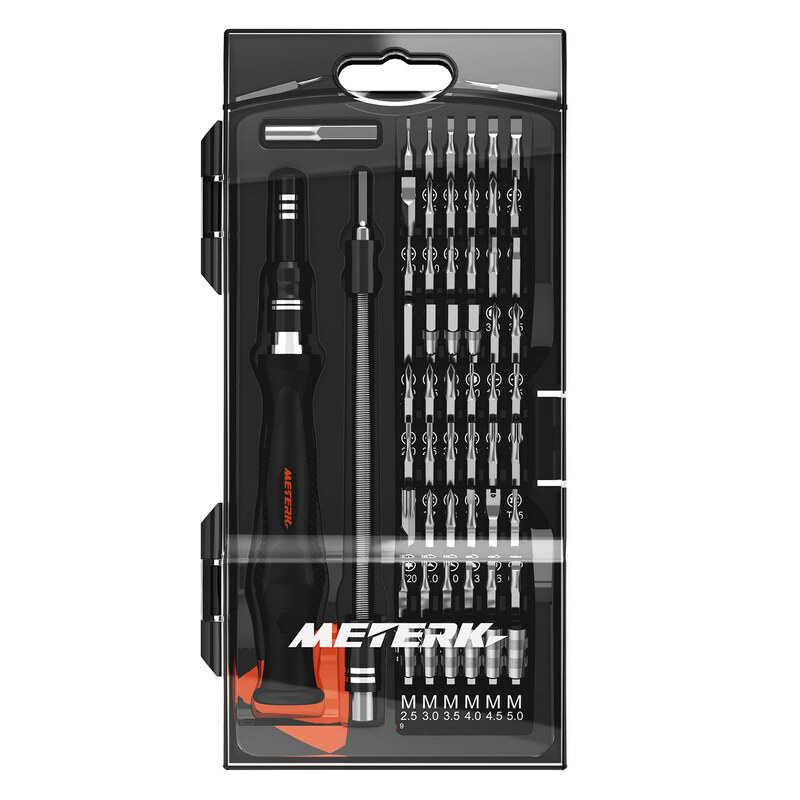 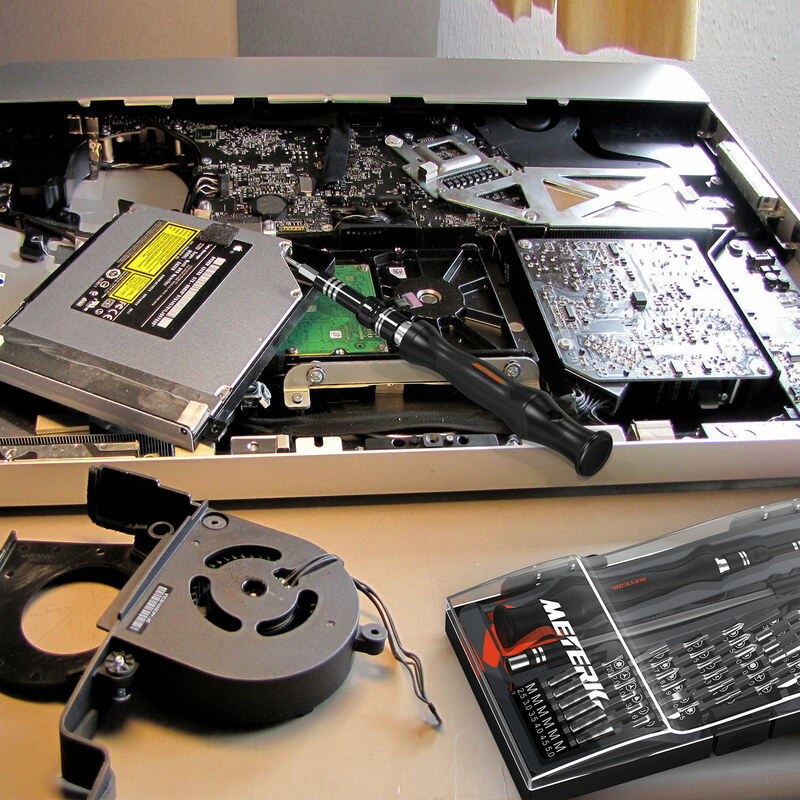 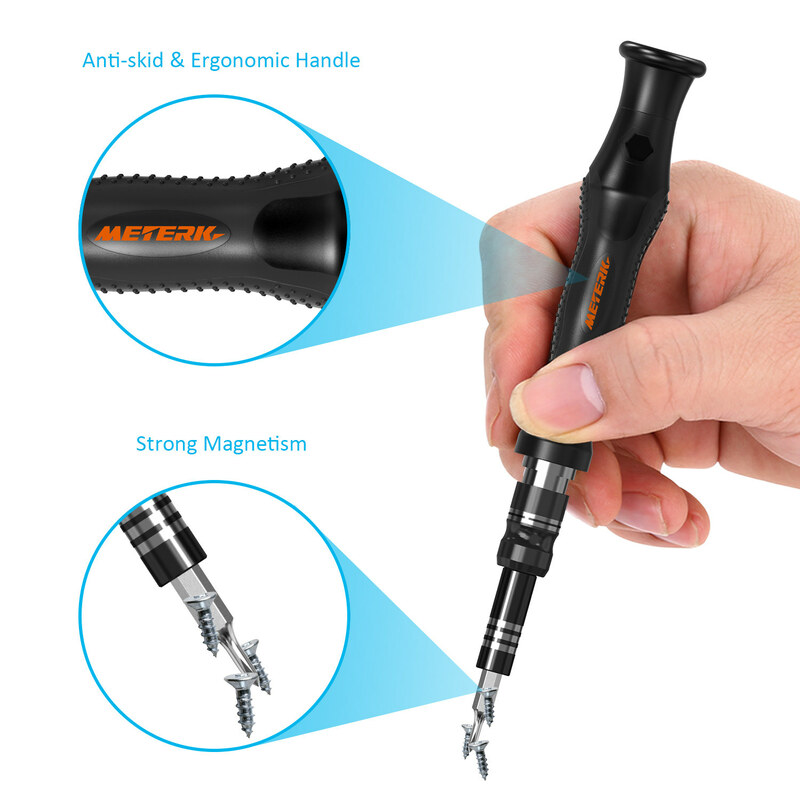 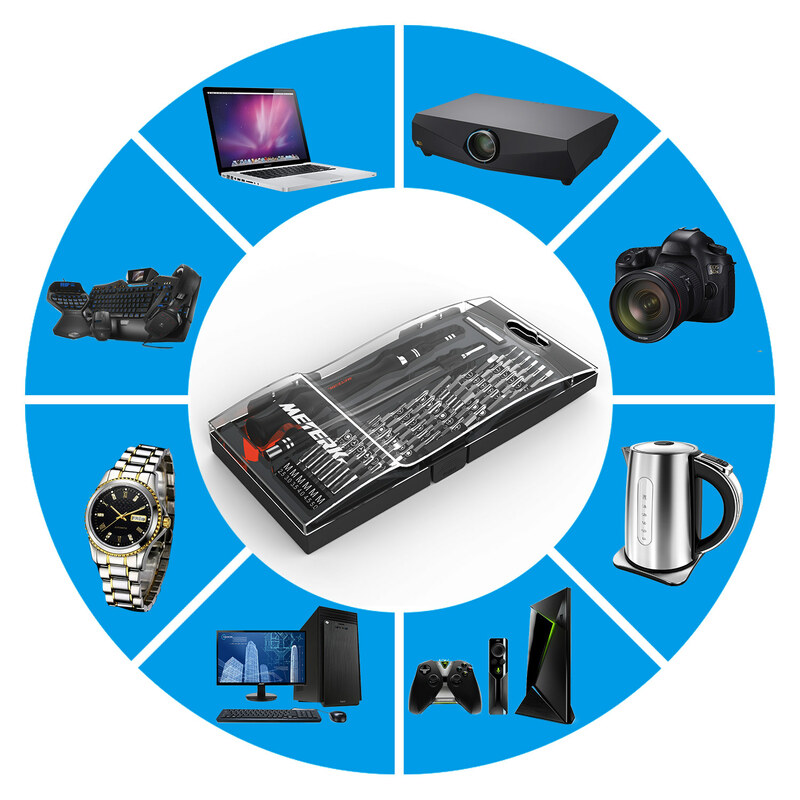 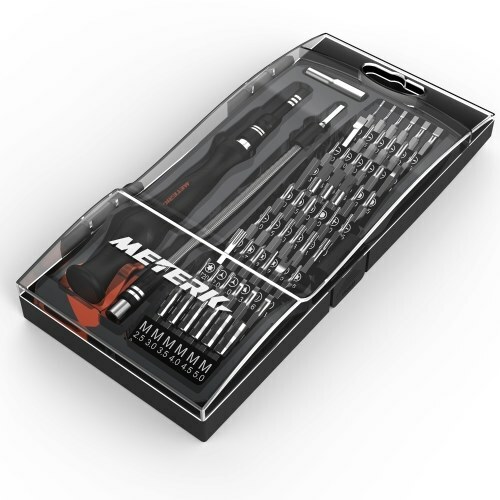 Improved quality professional Meterk screwdriver tool set to solve all kinds of repair requirements such as: for iPhone 7, 7 Plus, for iPhone 8, 8 Plus, smartphone, game console, tablet, PC, electronics, computers, watch repair, eyeglass repair, jewelry repair, etc. Suitable for both professional and general use. 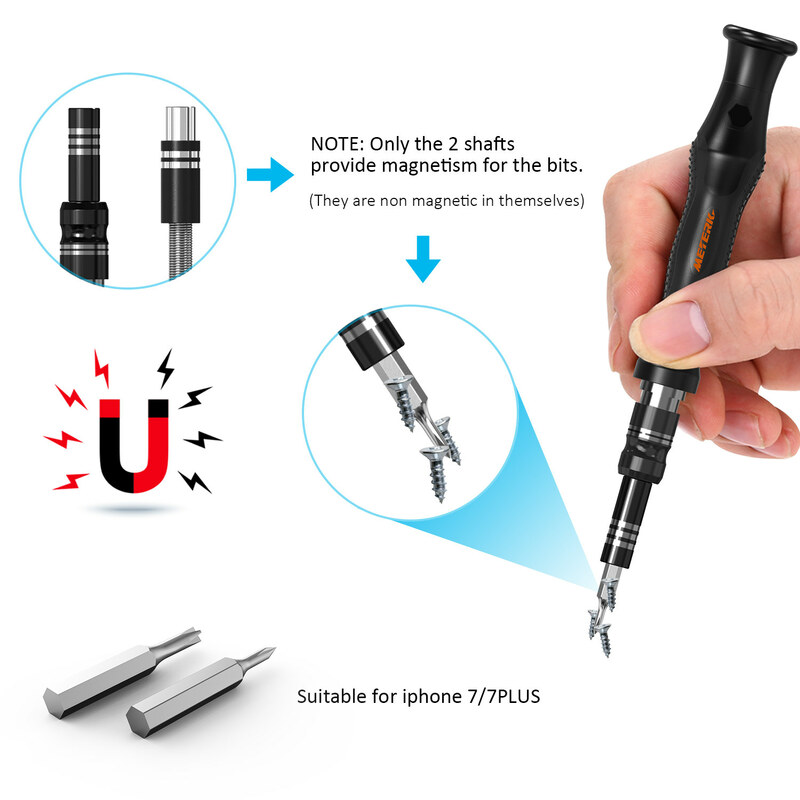 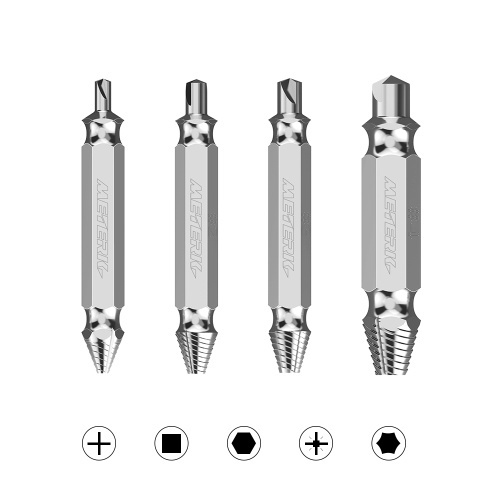 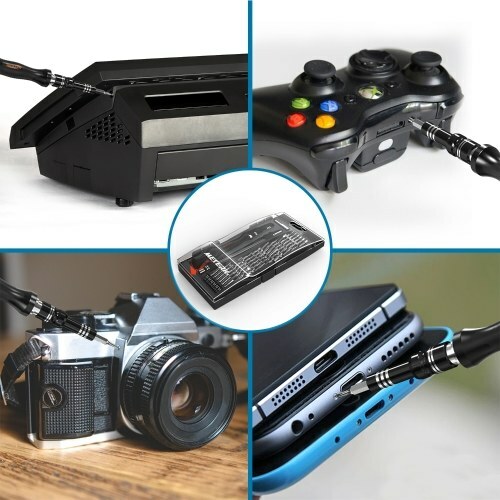 Multi-functional Magnetic Screwdriver Tool: 61 in 1 Precision Screwdriver Set is designed for all popular smartphone, tablet, PC, phones, game consoles, electronics, computers, watch repair, eyeglass repair, jewelry repair, etc. 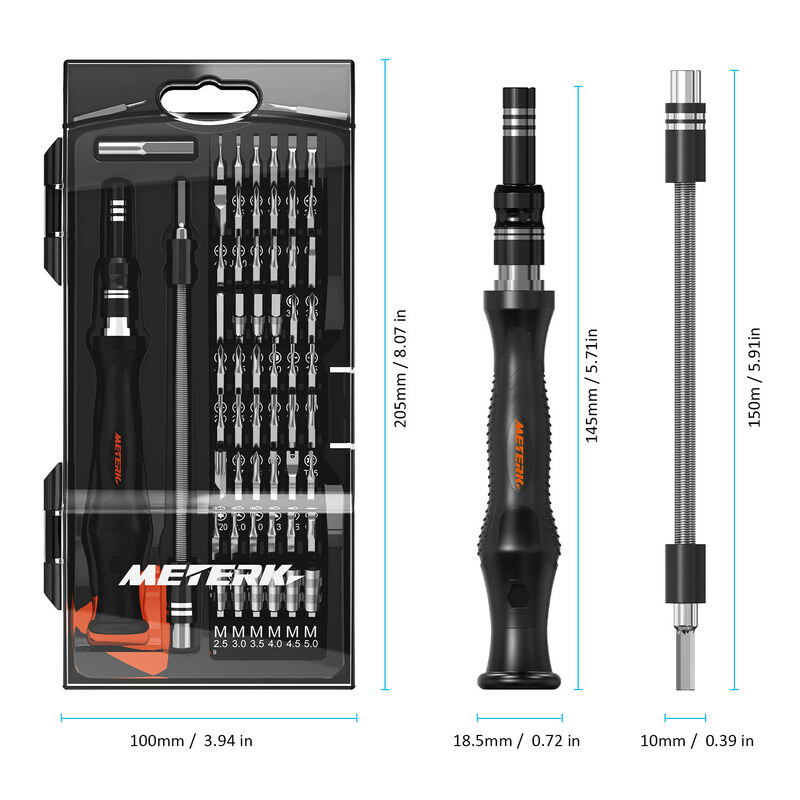 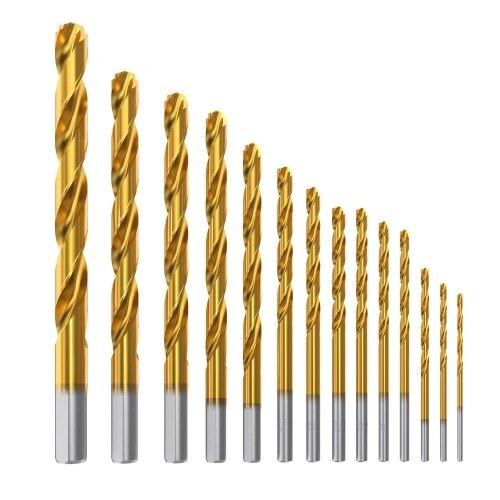 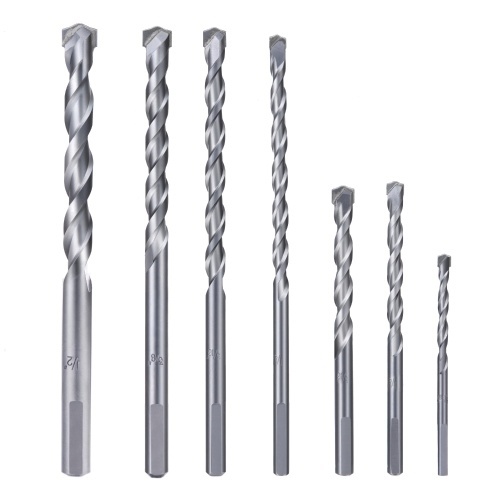 With 56 Kinds of Bits: 56 different kind of chrome-vanadium steel screwdriver bits with higher hardness after quenching treatment are strictly selected by Meterk to meet all your needs. 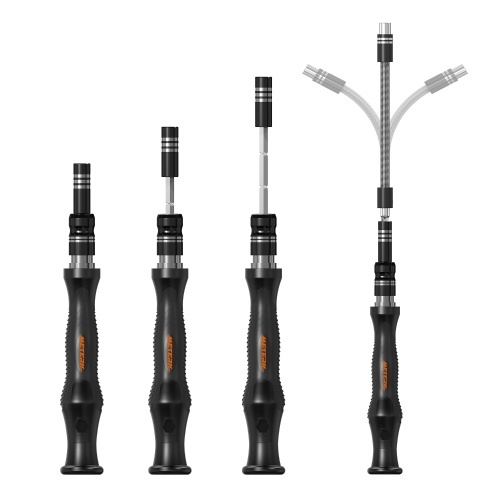 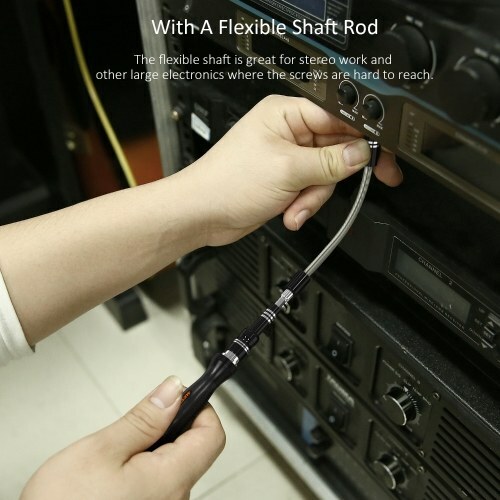 With A Flexible Shaft Rod: Including a flexible shaft great for stereo work and other large electronics where the screws are hard to reach. Advanced Quality: Unique design of multi-function covers the mainstream electronics in the market, also with a ball bearing mounted swivel top for making your work easier. 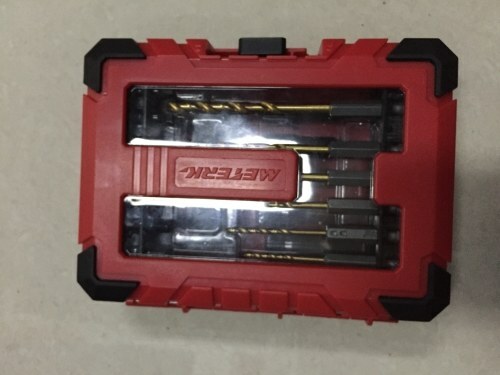 Portable With A Convenient Tool Case: Professional & high class ABS storage case to keep the screwdrivers organized and easy for carrying and screwdriver storage.